Inaugurated in 1995, the Mandeville Gallery is located on the 2nd floor of Union College’s national historic landmark, the Nott Memorial. The Gallery is dedicated to exhibiting the work of nationally recognized contemporary artists and exploring modern issues. Due to the unusual architecture of the Nott Memorial, the Mandeville Gallery provides a unique environment for viewing exhibitions. 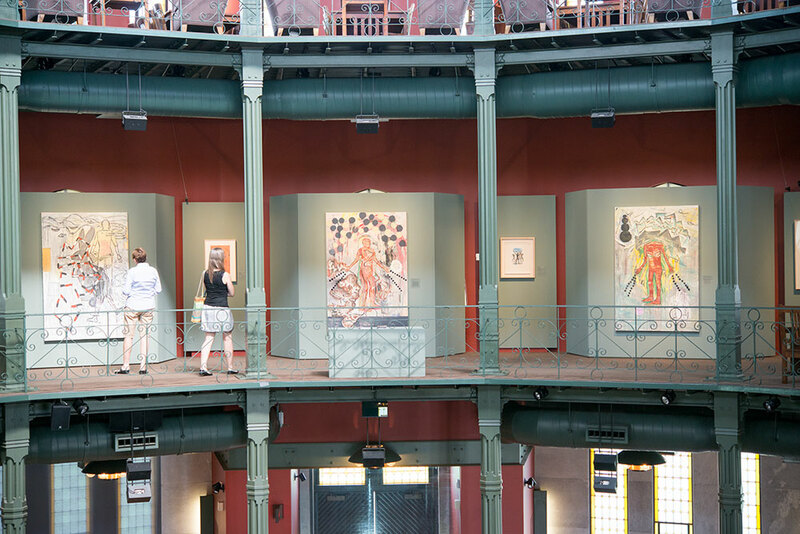 The Gallery is a mezzanine, open to the floors above and below, and is comprised of two semi-circular areas of viewing, creating an atypical but creative gallery venue. We are currently not accepting exhibition proposals for the Mandeville Gallery.